So begins the story of Old Jerry, seventy years of age, a lifetime drunk, and ready to die. His grandson Charlie has troubles of his own: the scars of a father’s drunken rages, a long juvenile record including burglary and assault, and his older brother P.T. who lives in another world with the ghost of their long long-dead mother. When Old Jerry fails to show up for his birthday party at McGurk’s Tap Room, the two brothers are the first among the tight group friends to ask questions. But the discovery of the old man’s body in a nearby lake raises more questions than it answers—and the fallout will send one man to war in Vietnam, and everyone else to try and pick up the pieces. In the dusky world of a working class Midwestern city, at a time of social and political chaos, THE MERCY KILLERS tells a chilling story of the actions that we take in the name of love, and the revisionist history we often create of our own past. Well, this one cost me four and a half years, and seven buckets of blood and sweat. The initial germ of an idea came from Luc Sante's "Low Life," which mentions McGurk's Suicide Saloon in Manhattan's Lower East Side at the turn of the century. The second inspiration came from the song "Straight Time" by Bruce Springsteen: "Charlie, you best remember who your friends are." The third and final inspiration came from the film "Crazy," a documentary by Dutch filmmaker Heddy Honigmann, which was shown at the Minneapolis Documentary Film Festival in the summer of 2001. Lisa Reardon, "queen of redneck noir," gets political. On September 11, 2001, shortly after the planes hit the World Trade Center and the Pentagon, the plane carrying novelist Lisa Reardon and her husband, Mick Weber, touched down in Hong Kong. When she reached Vietnam a few days later she felt like she was entering a time warp. "All the army jeeps and Quonset huts and riverboats from the war were still there," she says. "The Vietnamese people kept apologizing to me about the attacks. I wanted to say, 'No, I'm sorry for what we did to your country.'" After reading Lisa Reardon's The Mercy Killers (Counterpoint, $24), it is easier to understand why Vietnam War veterans' feelings and opinions about the war are still hot and raw and likely to remain so until every last one of that monumental folly's participants is dead. 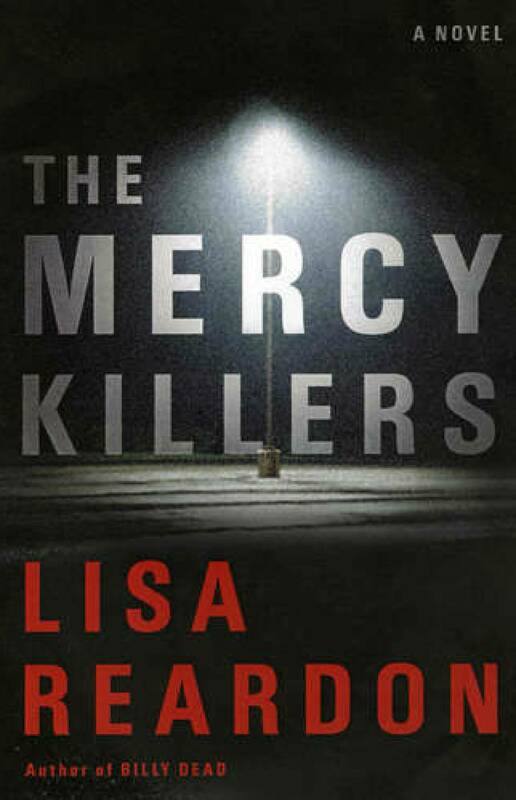 A spellbinding crime novel, The Mercy Killers is also a brilliantly thoughtful saga about the weight and drag of both national and family history on individual behavior, and about a thrilling propensity by some men and women to exercise free ill, no matter what. Set mostly over a four-year period starting in the spring of 1967 in Ypsilanti, Mich., and in Vietnam, The Mercy Killers opens in, and keeps returning to, McGurk's Tap Room, a grim, grimy place "where duct tape keeps the barstools from coughing out their stuffing. The colors had been scrubbed from the tin ashtrays. The smell of wet dog yawns from the corners." Blunt, short-tempered Gil McGurk runs the bar, and among the regulars is Jerry Moody, a depressed old drunk who, too inept or ambivalent to commit suicide, keeps asking Gil and others to put him out of his misery. Most of the McGurk's gang uneasily laugh off Moody's pleas. But when Moody's agreeable, brain-damaged grandson P.T. Simpkins takes the old man at his word one night and smothers him with a pillow, the police become involved and dominoes begin to tumble by the dozens. P.T. 's younger brother Charlie, a small-time burglar, steps in and takes the rap for P.T. Charlie's car-thief pal Gino goes along with the deception. He knows that P.T. protected Charlie from a violently abusive father when the brothers were children, drawing most of the sadist's wrath toward himself. Now Charlie believes it is his turn to take punishment for P.T., whose mental deficiencies are the result of his childhood beatings. "The assistant DA offers Charlie a choice: eight years for manslaughter or enlistment in the army for three years. 'Like going to jail,' he says, except you get paid.' " Charlie's Vietnam tour, portrayed in flashbacks and in a series of agonizing letters home, is nightmarish beyond belief -- by comparison, prison would have been a breeze -- just as it is for Gino, who is drafted and returns home a mentally wrecked heroin addict. Vietnam is where Gino discovers that "God's a crazy old man" who "doesn't know who to punish for what anymore. . . . He forgot the rules." Besides the horrific war carnage, there are two more violent deaths in the novel, the first another mercy killing, the second meant that way but just insanely wrong. You see it coming and want to weep. Reardon's men -- Charlie, Gino, Gil, P.T. and Bobby, a stolen-goods dealer and draft-dodger who becomes the McGurk gang's practical and moral anchor -- are depicted with obvious love as well as a lacerating honesty. As are Reardon's women: Katie, good-hearted and loving but unable to grasp what the vets endured; Sheila, the prostitute determined to get the best deal she can for the daughter Charlie fathered but won't help raise (the idea of family both attracts and nauseates him); and Diane, the plucky, unhip VA hospital counselor who adores Charlie and tries to save him from himself and his terrible history. Reardon, the Chicago author of two other well-regarded novels, Billy Dead and Blameless, has given us a timely novel of terrific suspense that is as socially aware as Dreiser, as astute about working-class American character as Raymond Carver or Joyce Carol Oates, and altogether terrific. "From the opening chapter of her splendid new novel, Lisa Reardon takes us into a world so complete, so undeniably itself that nothing seems more important than reading these pages and discovering what her vivid, ferocious characters will do next. 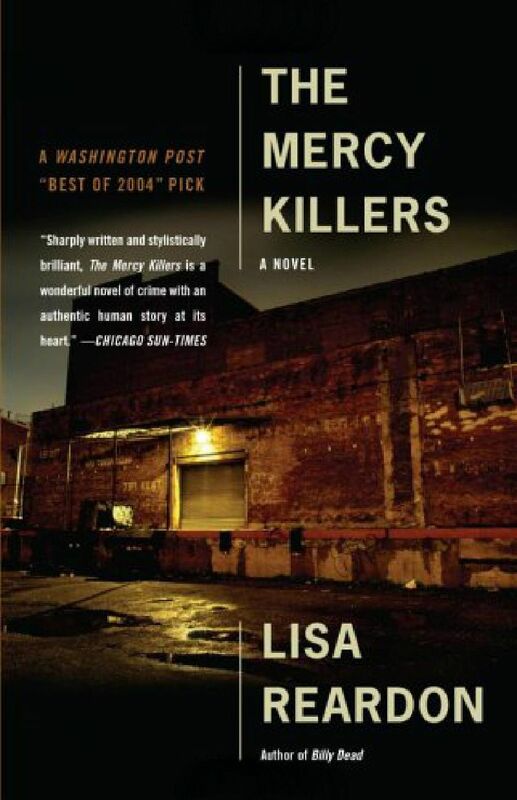 The Mercy Killers is a beautiful, irresistable novel." 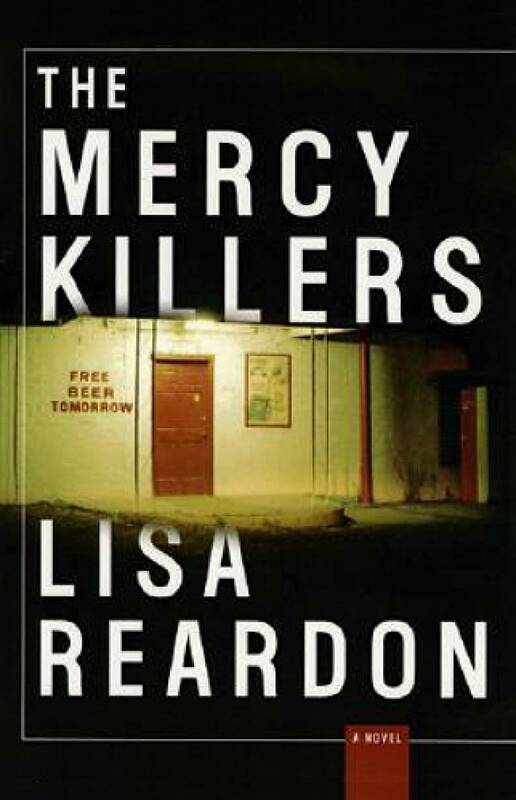 "Sharply written and stylistically brilliant, The Mercy Killers is a wonderful novel of crime with an authentic human story at its heart." Lisa Reardon is on my Best 100 Mysteries of All Time list for her first book Billy Dead. 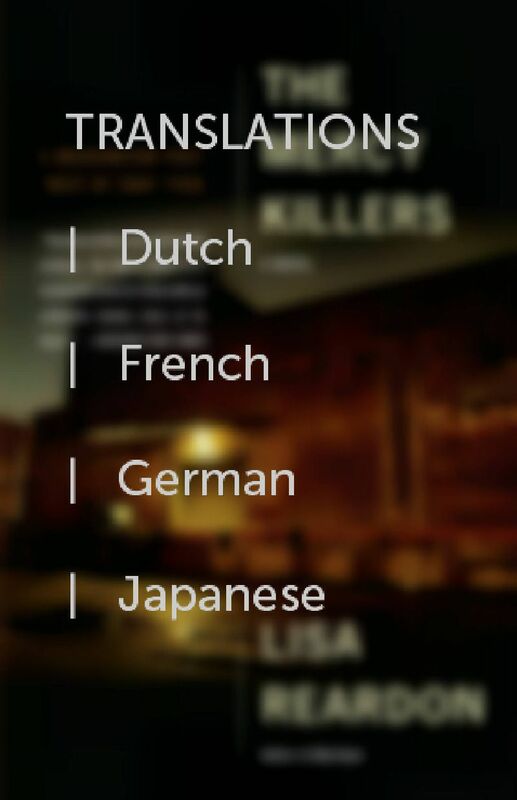 If I’d read The Mercy Killers before I finalized the list, she may have had two entries. ...it compels and rivets the reader with little action other than the characters living their lives, as dysfunctional as they are. "...you'll find a story that's so unbelievably well-written that you can almost smell the stale smoke at McGurk's."